My father is Gordon Yen Hoi Chang MD. He married Jean Hanoi Wung. I thought that I would blog about my explorations in finding information on my ancestry. I had asked Mayblossom Wilkinson about the village we came from. 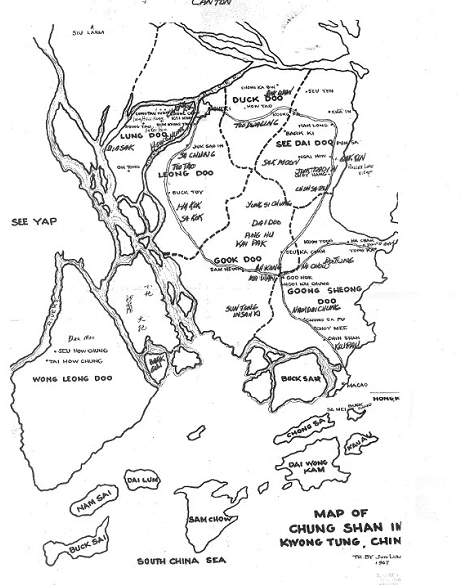 She verbally talks about the village and county where Chock Sai Shee comes from. I tried to write it in English here. I found some maps and got ‘Geography of Kwangtung Province for Hawaii Residents’ here. Read it and it will tell you a lot about the villages etc. 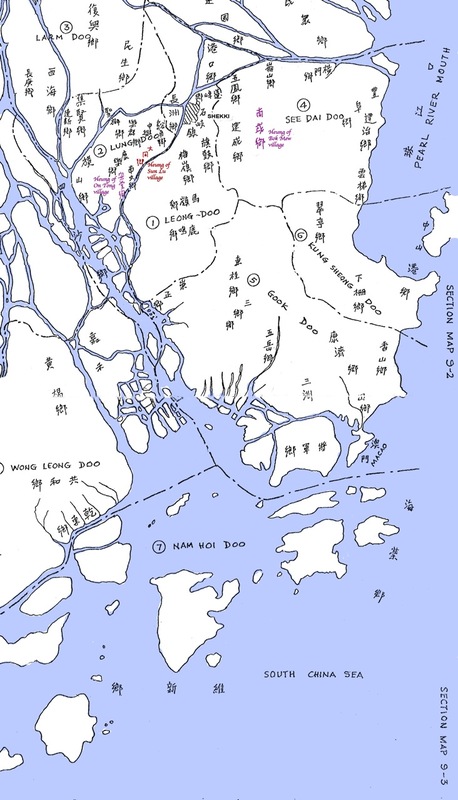 To find Goo Hok Cheun (village) in Kung Seong Doo #6 district may take some more research. The names have changed. Such as Doo changed to Kee. 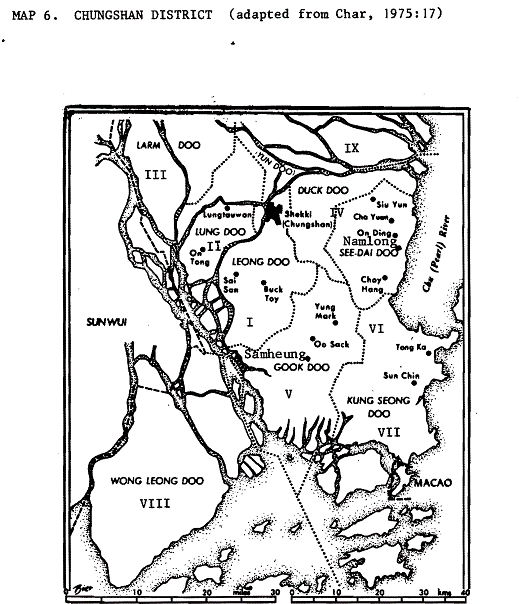 I think that one of the maps shows Goo Hok in the upper left of Kung Seong Doo. I have to verify this. Jack Chang, eldest son of Chang Ah Gett,made and put a headstone for our Great Grandmother Chock Sai Shee at the Nuuanu Cemetary. She is buried in the Chinese Cemetary in Manoa.